There is one post tagged university of amsterdam. I have better things to do than read the whole text (~ 5.100 words) but I did read enough to know that I couldn’t agree with this User Agreement. Instead I decided to write this blog post explaining what I find so disagreeable. But first, what is Turnitin? It is the market leader (although monopolist is probably the better term) in plagiarism detection services. They have a few hundred million student submissions in their database. So when a new submission comes in they check it against the web (Wikipedia is plagiarism source number one) and against the submissions they already have and presumably give out a plagiarism score or percentage (I am not privy to that part of the interface). Turnitin’s terms closely follow that general pattern. Let me quote you some relevant passages. All emphasis is mine. You or the person who has authorized You to submit a paper for review as part of the Services will, subject to the license granted hereunder to Turnitin and its affiliates, vendors, service providers and licensors, retain Your ownership of the submitted paper. This User Agreement grants Turnitin and its affiliates, vendors, service providers and licensors only a non-exclusive right to Your paper solely for the purposes of plagiarism prevention and the other Services provided as part of Turnitin. If You submit a paper or other content in connection with the Services, You hereby grant to Turnitin, its affiliates, vendors, service providers, and licensors a non-exclusive, royalty-free, perpetual, worldwide, irrevocable license to use such papers, as well as feedback and results, for the limited purposes of a) providing the Services, and b) for improving the quality of the Services generally. 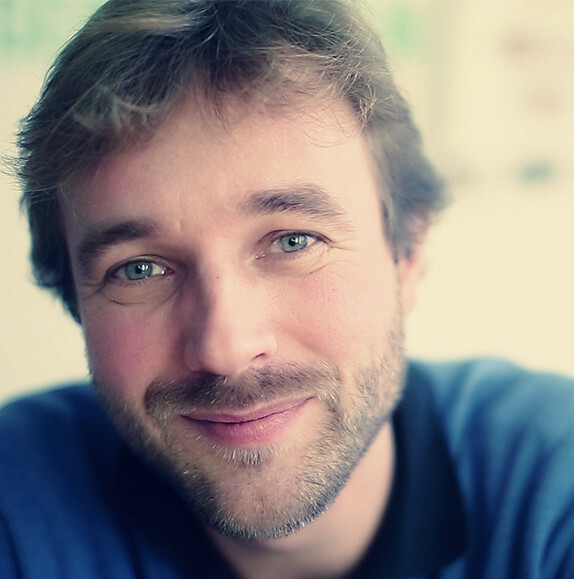 The Site offers certain services, together with other content, data, images, information and other materials which allow authorized educational institutions (“Educational Institutions”), and teachers, instructors, professors or other faculty members who are currently teaching a registered class (together, “Instructors”) to use software tools hosted by Turnitin to check enrolled students’ work for possible textual matches against Internet-available resources and Turnitin’s own proprietary database. You acknowledge and agree that the form and nature of the Services and the Site which Turnitin provides may change from time to time without prior notice to You. 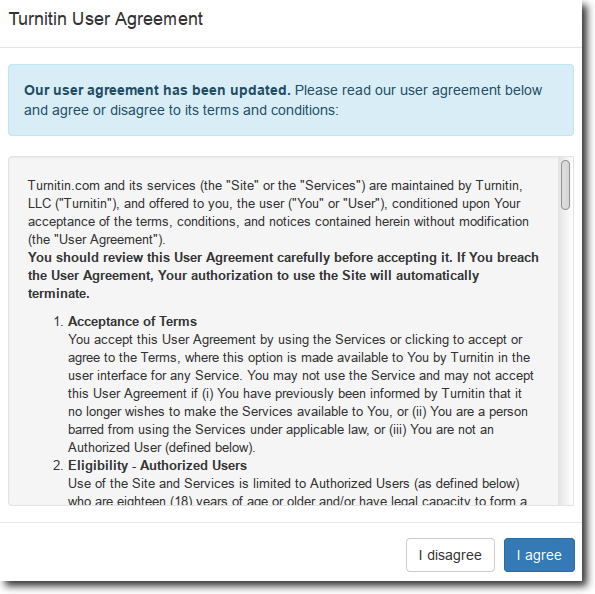 So there we have it: If you agree to the User Agreement you have just given Turnitin (and its partners) permission to use your paper for any service and at any point in the time in the future. Turnitin, LLC reserves the right to change the terms, conditions, and notices under which the Site is offered. My work can only be used by Turnitin to check for plagiarism. As I see no reason for it being my responsibility to help Turnitin get better at doing their job (by giving them the ability to recognise when somebody plagiarizes my work), I want Turnitin to delete my work as soon as the check has been done. If Turnitin relies on third parties to do the plagiarism check, then I would need a limitative list of these parties and the assurance that the above two conditions will also count for them. Update on January 16th, 2018: Folia, the university’s magazine, published an article about this issue. In it, the university says they will look into it and Turnitin has given a ludicrous reaction. My teachers for this course have said that I can hand in all my assignments via email. I’ve asked the university to keep me posted.